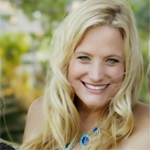 I am hoping this post will help answer some questions I have been asked lately. But let me set us all straight because I am not an expert outside of my own little classroom. This is what works for me this year plain and simple! This is the targeted skill of the day/week. 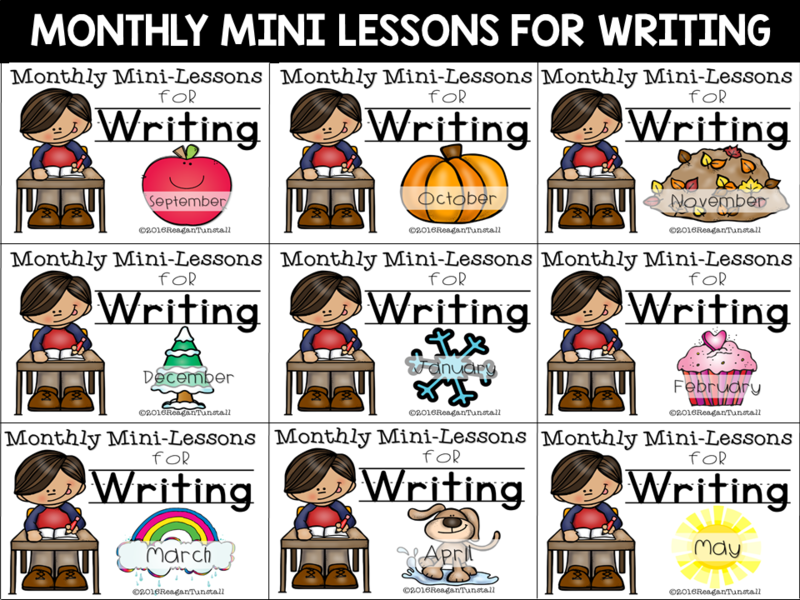 We will do a mini lesson together as a class. This was a lesson on related facts and using symbols to represent our math thinking. We took a set of objects and wrote both an addition and subtraction sentence to represent what was happening. 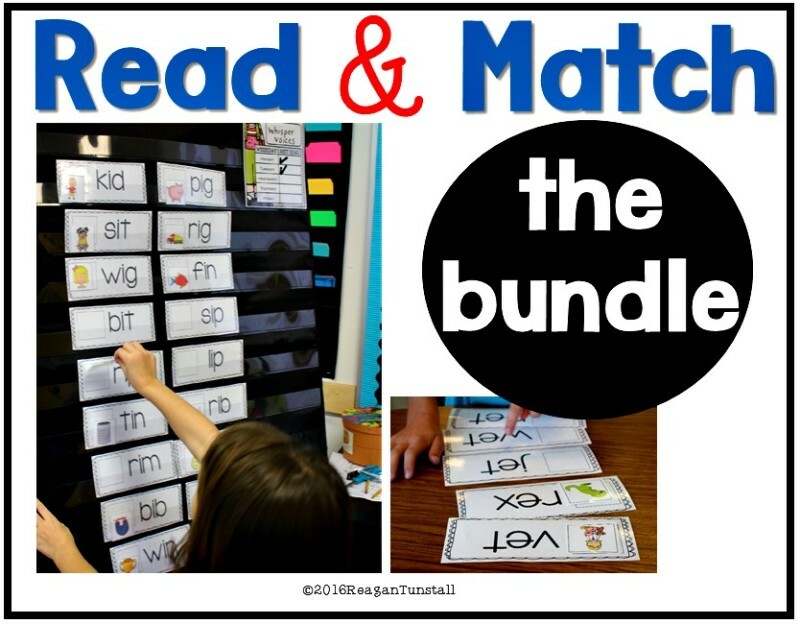 If you are looking for a system for math rotations I use STACK! It’s been a lifesaver for me! More about STACK. Behind these girls you can see our rotation system is being projected on the whiteboard. It is set to a timer. 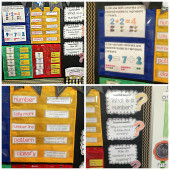 This is included in the guided math rotation board above. 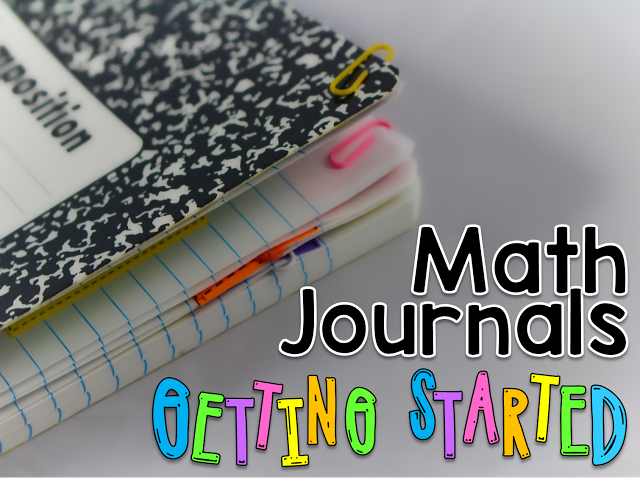 Math journal is either a journal entry that corresponds to our lesson, or a skill practice page that addresses what we are learning in our lesson. 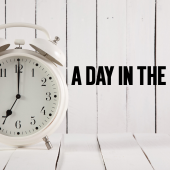 Whether or not the independent practice activity will go in the journal, it is still considered journal time. 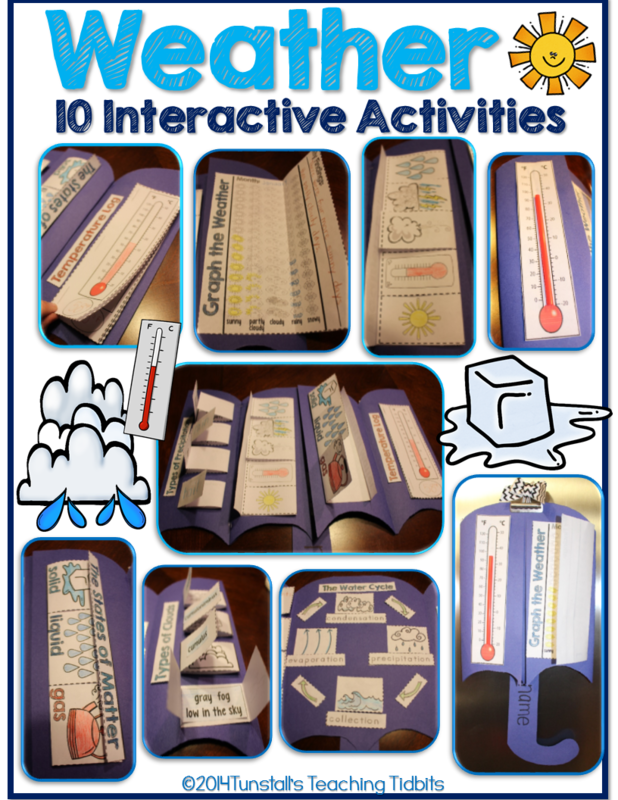 Before beginning guided math stations, every student gets the journal activity either passed out to their desk waiting for them to get to journal, or it is something I have placed on the Elmo that they are to solve and show work for, respond to, or explain for critical writing. That way when it is their journal time there are no “I need the paper” issues. They already have what they need on their desks. To help stay on top of checking their work I have them bring their journal to my table when they come for their guided math. I do this once or twice a week depending on how independent they may be with a concept. 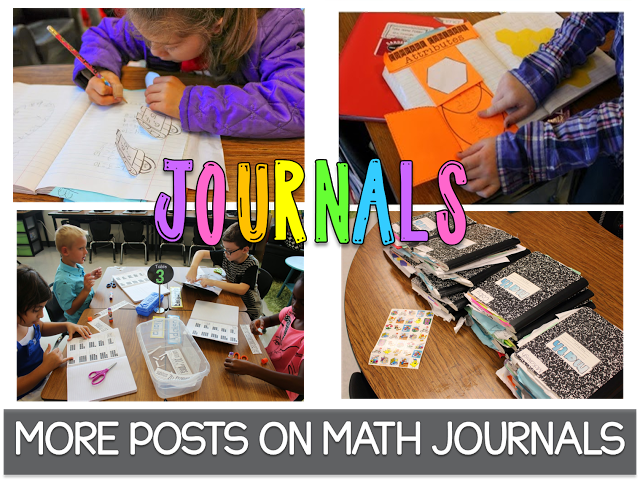 For a post just about math journals click the picture below. One helpful hint I have is that I don’t let students go to the next station (math tubs follows journals on purpose) until they finish journal. This way I ensure the independent practice gets done. 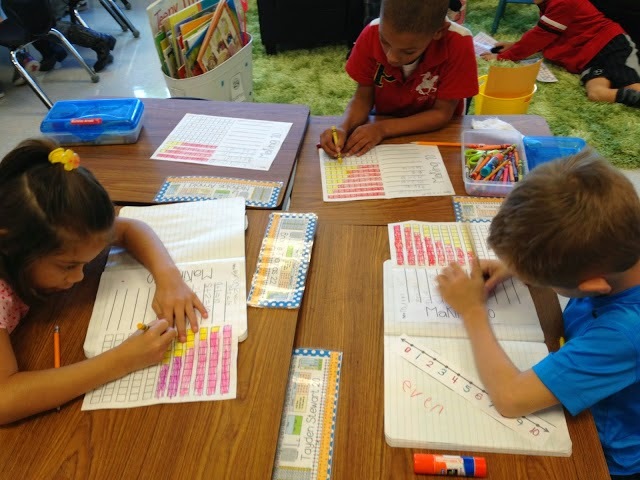 They are highly motivated to go to a math tub, so they work hard to finish during the allotted time. 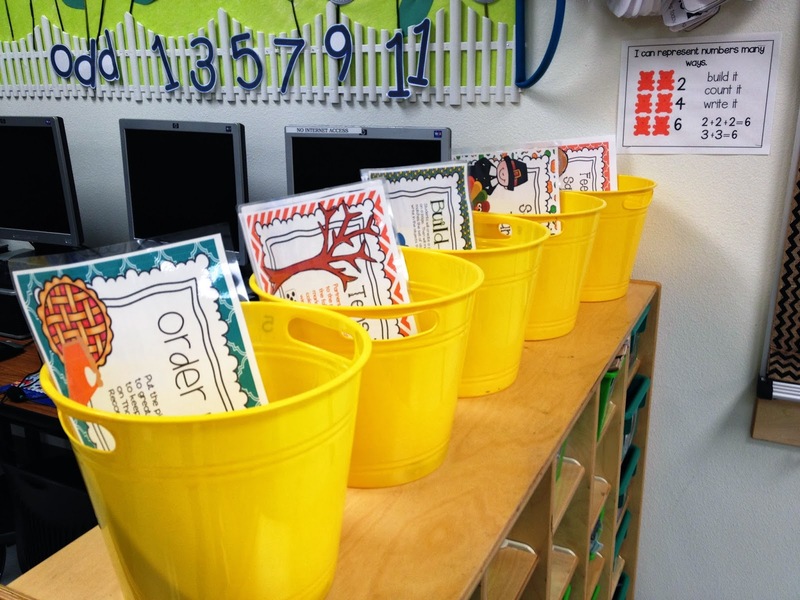 keep 5 math tubs out in our math area. One for each day of the week. 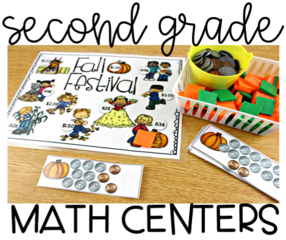 I fill them with seasonal independent activities. It is a favorite time for my students! 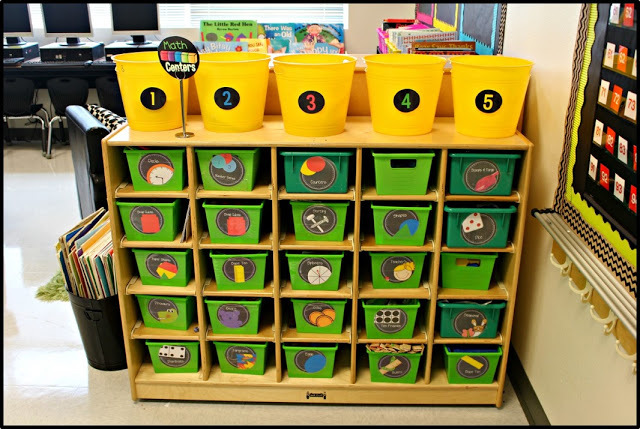 These tubs sit on top of this shelf of manipulatives which makes it very easy to change them out or grab something that is needed by either myself or a student. I also keep an objective there by the tubs to show their purpose in our math block. If you need math tubs, I have math centers for every month of the school year in my TPT store. 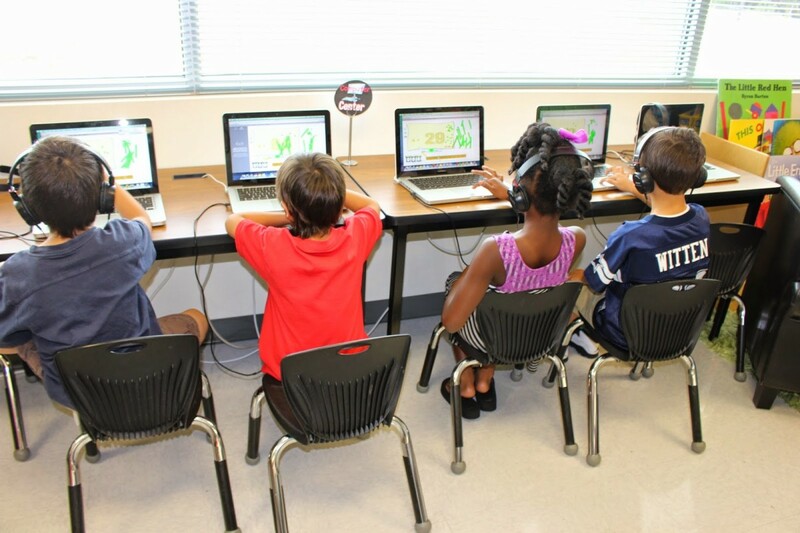 Our math with technology station is on the computers. My students go to Johnnies Math Page and play a specific game that matches the skill of the week. 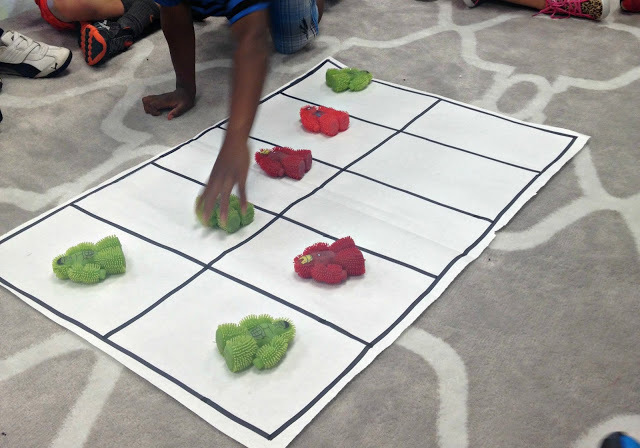 This was a place value game a couple weeks ago. 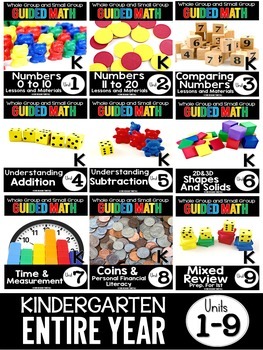 I love Johnnies Math Page because it is free and it has many different games that have the same skill set. 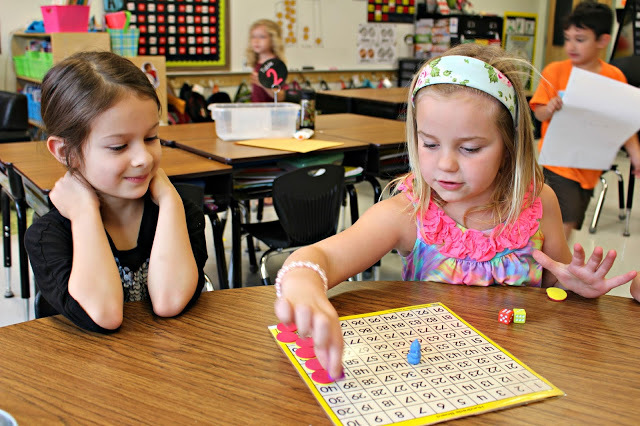 My students really enjoy the games and they are skill centered. Another site I use is illuminations ten frame. This isn’t the best picture, but you can see a computer group in action below. 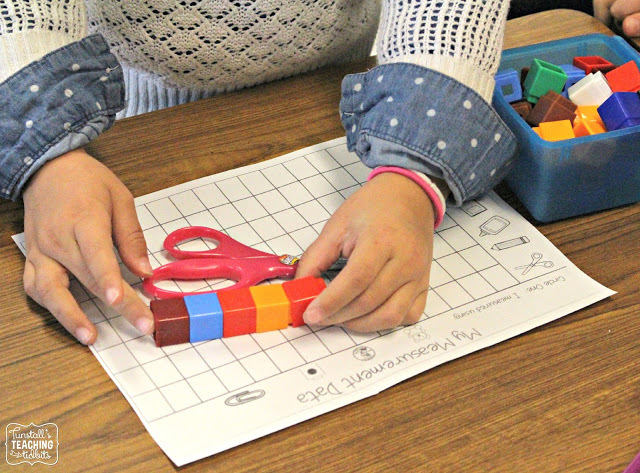 When kids come to my table for guided math, it’s my chance to really see how they are grasping the concept and to talk with them about the learning. 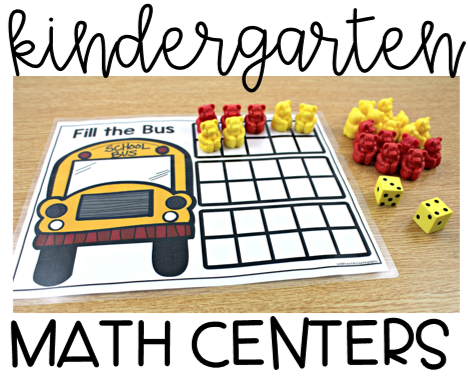 I have developed my year’s lesson plans into ready to go materials now. 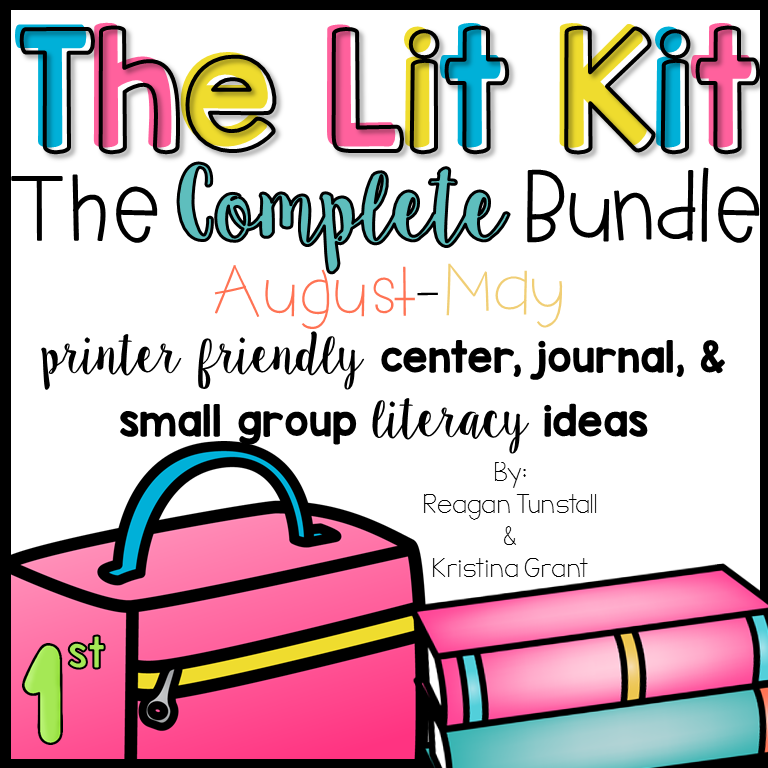 There are whole group and small group lesson plans for the entire year! We found 5 old Itouch devices or old Iphones and turned it into an app station one year. I added this one later in the year. Mostly because my groups were large and my two groups of 6 were causing each area to be crowded and troublesome. 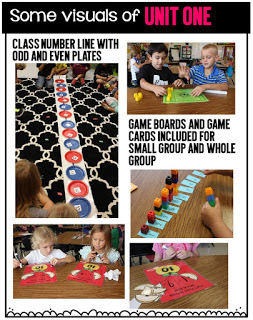 This allowed me to have groups of 5 and 4 which made a world of difference. 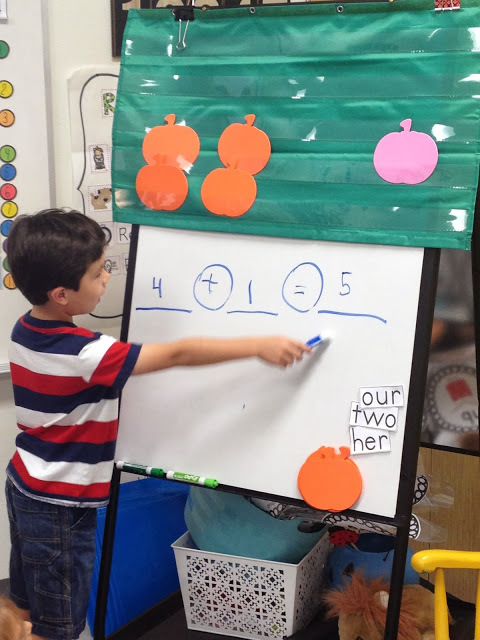 The apps we currently use are TeachMe1st Grade and the Subitize Tree. My class is obsessed with both! 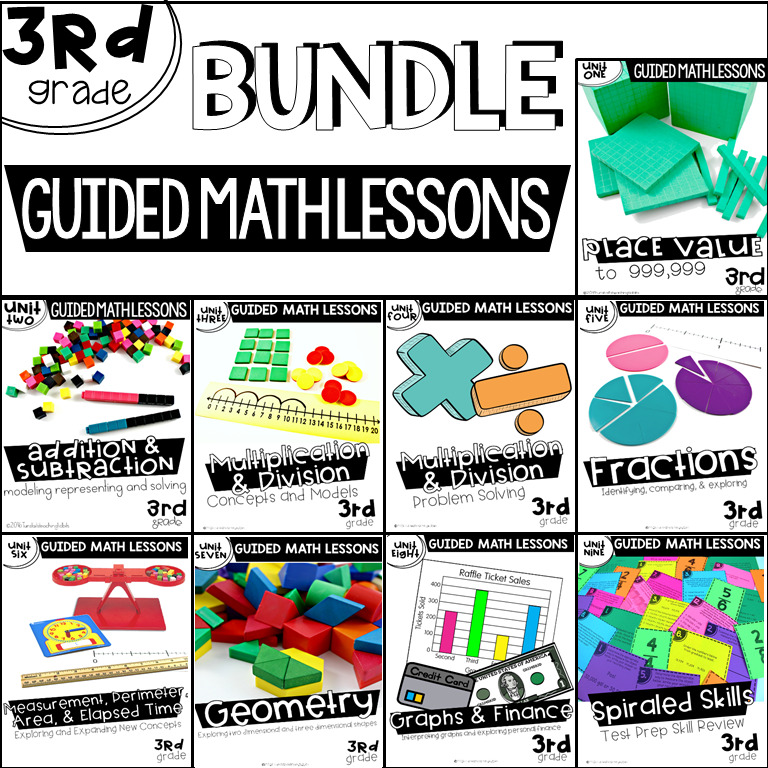 🙂 If you don’t have access to technology, another idea is to have another round of math tubs. It isn’t ideal, but it will allow you to spread them out more in the room. My math stations are only 10 minutes long each. The students will see the next set of rotations on the projector (or wall) and clean up then move. I hope this crazy long post brings some clarification to your math block. After you get your students (and yourself) it will be your favorite part of the day! 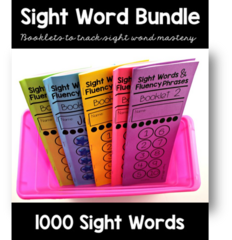 If you want to see more resources just click below. I absolutely love your ideas. 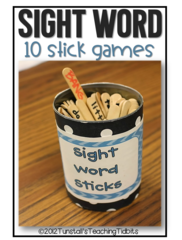 Can’t wait to try them with my kiddos! Thank you so much Reagan! This post was exactly what I needed! Thank you for taking the time to answer my questions! You are AMAZING! I appreciate this soooooo much! 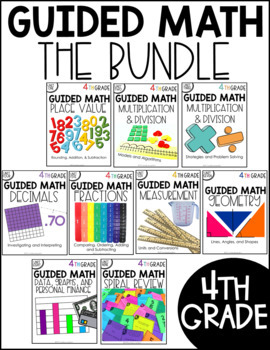 I cannot wait to start revamping my math block – I feel like I can maybe do some Guided Math now! Thank you again! 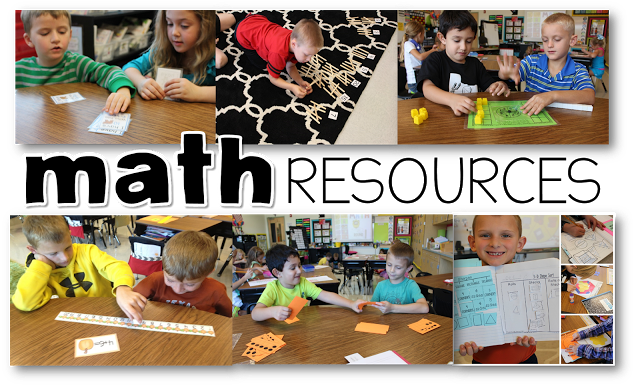 I love doing math centers! 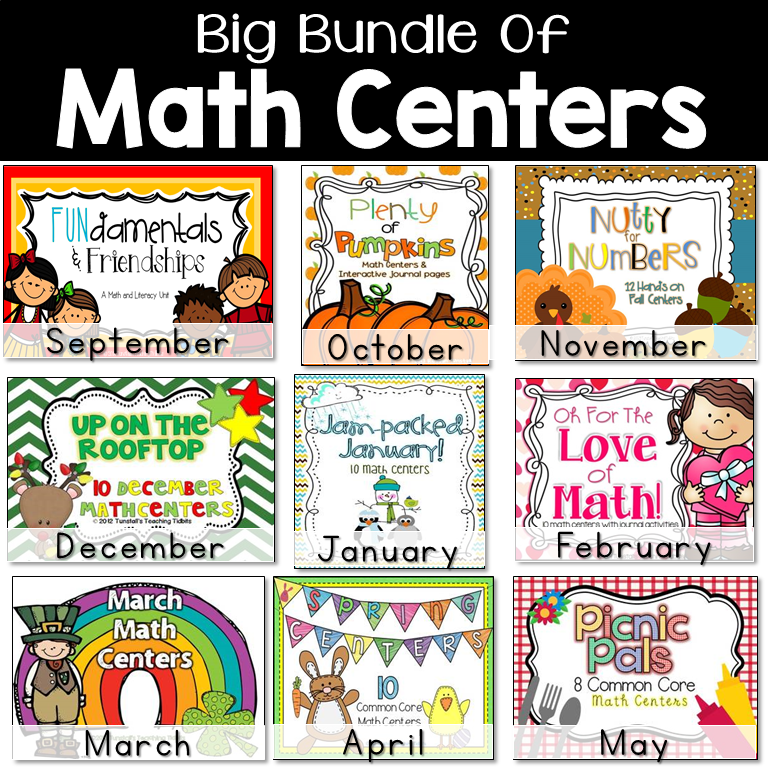 My math centers are very similar. We have workbook pages in our math book that is one center. I also have 18 students so we only do 4 centers: teacher, math tubs, workbook pages, and computers. 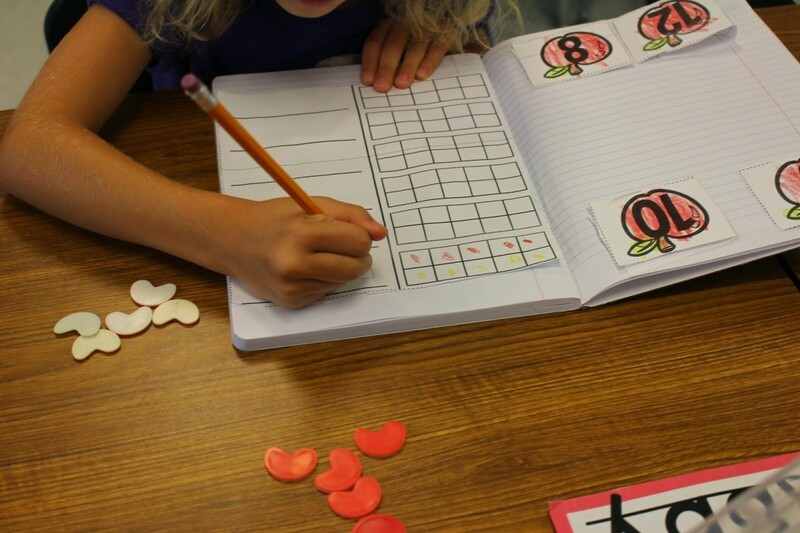 I have started using math journals in my math warmup and want to incorporate them in centers too as my students become more independent. 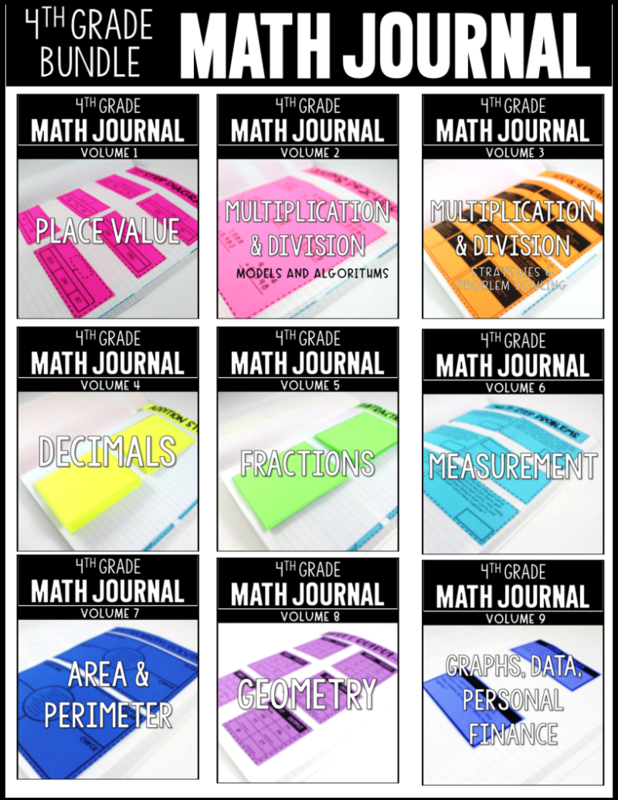 What do you use for math journals? Do you have a product in your store? I see many math journal prompts that are great but too hard for some of students to read. I love this! 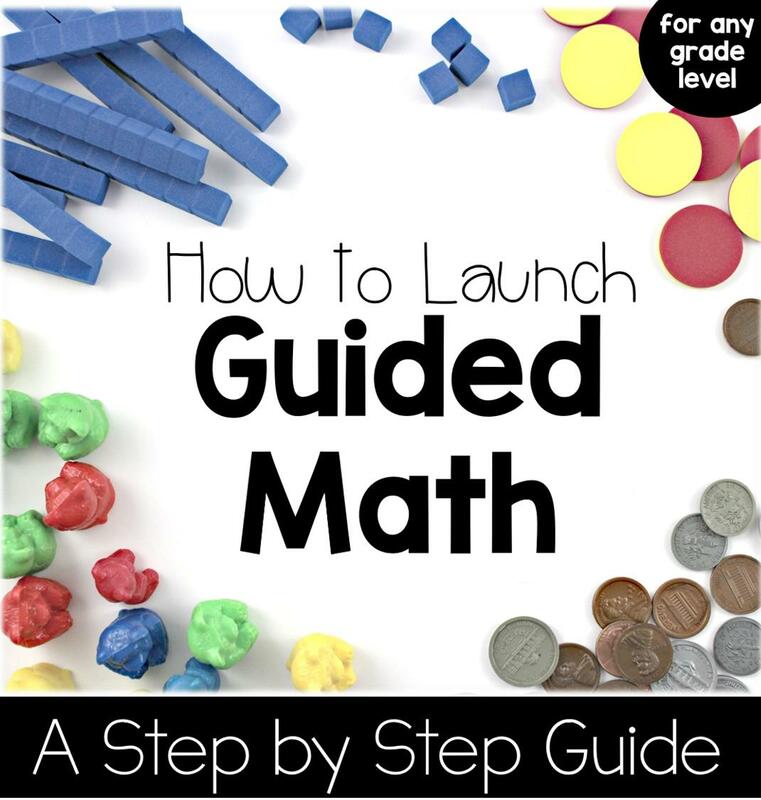 It is very similar to how I do my guided math, so it gives me good ideas on how to tweak it. JEALOUS of all your technology!! 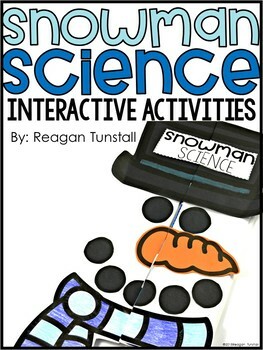 I have one computer and no IPads/Pods so my class is sorely lacking in opportunities to use technology. 🙁 One of the things they do instead is work on their math fluency. 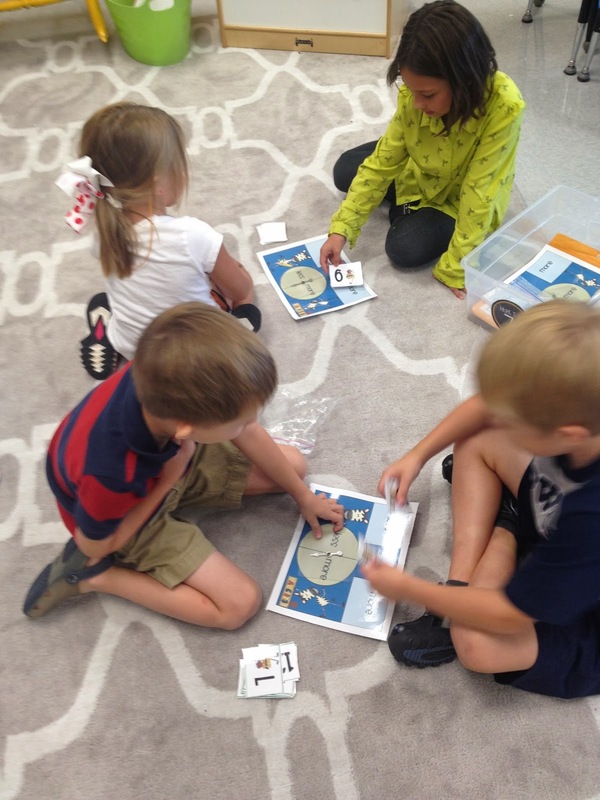 They have sand timers they use to time themselves doing addition and/or subtraction facts. When they are done they graph how many problems they were able to finish and they move up through different levels. They LOVE beating levels- they think it is like a video game! Thanks for taking the time to share this! Except I do not have technology and I want yours. And I have 30 students with two open spots that can be filled at a moment's notice. 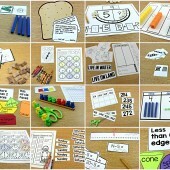 I have started math centers and so appreciate your ideas, this will help me do a better job for math time. 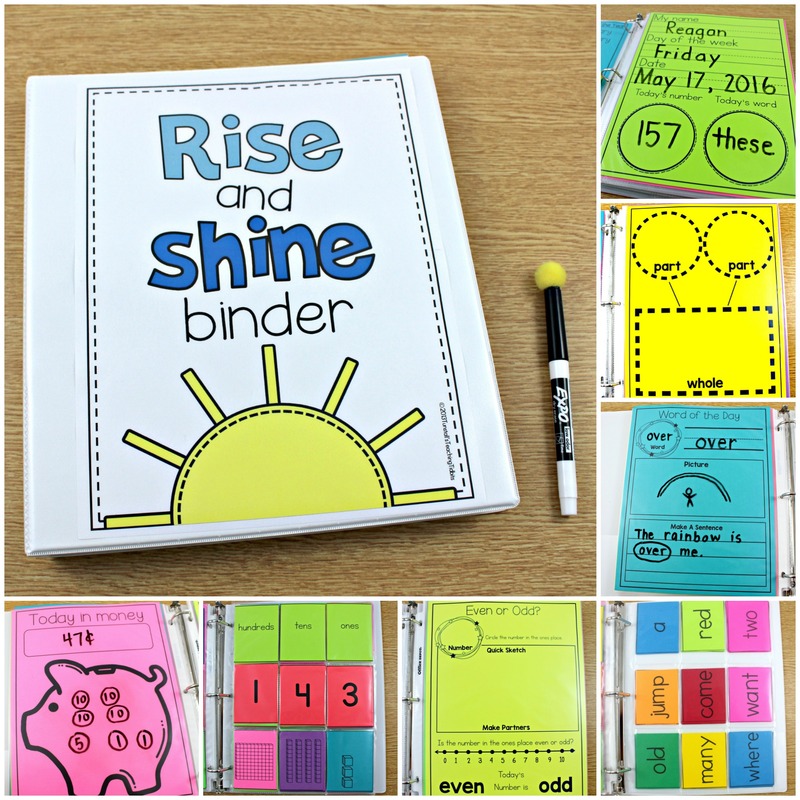 I also wanted to say how much I LOVE the rise and shine binders, that has been a wonderful addition to my morning. Thanks for sharing your wonderful teaching strategies. This is great Reagan! Thanks for sharing. How long does your math time last? 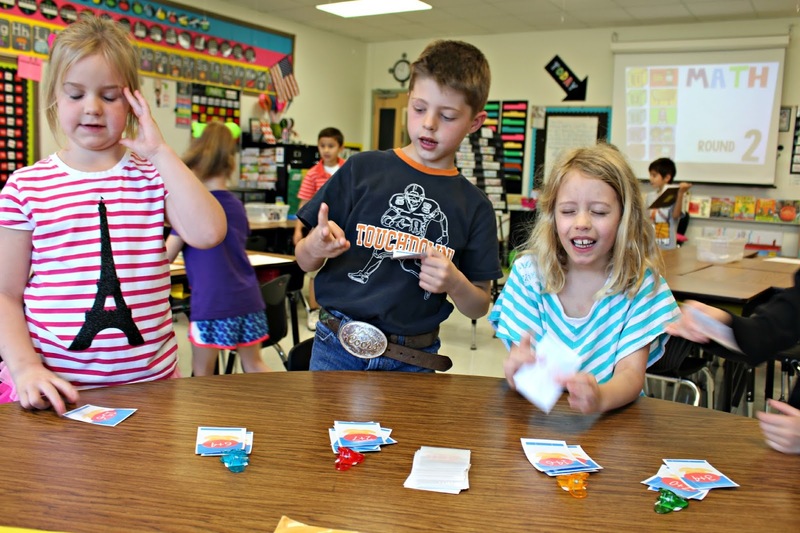 What do you do with the kids who finish their worksheet quickly during their station? I have some who fly through it and do perfectly fine. Thankyou for your "crazy long post"! It's fabulous to have this level of detail. Thanks for sharing all these great ideas! It is so hard to find time to get it all done and teach the standards- and I have to stay on pace with my teammates. (We have to give the same assessment tests…) Using your *Rise and Shine* binders this year has really helped!! Love this post no matter how crazy long!! This gives some great ideas and inspirations! I wish I could come down to Texas and observe your amazingness!! Thank you so much for this great post on your math centers! This is something I've struggled to "get right" for years. I've tried different ways, but so far, I haven't been thrilled. 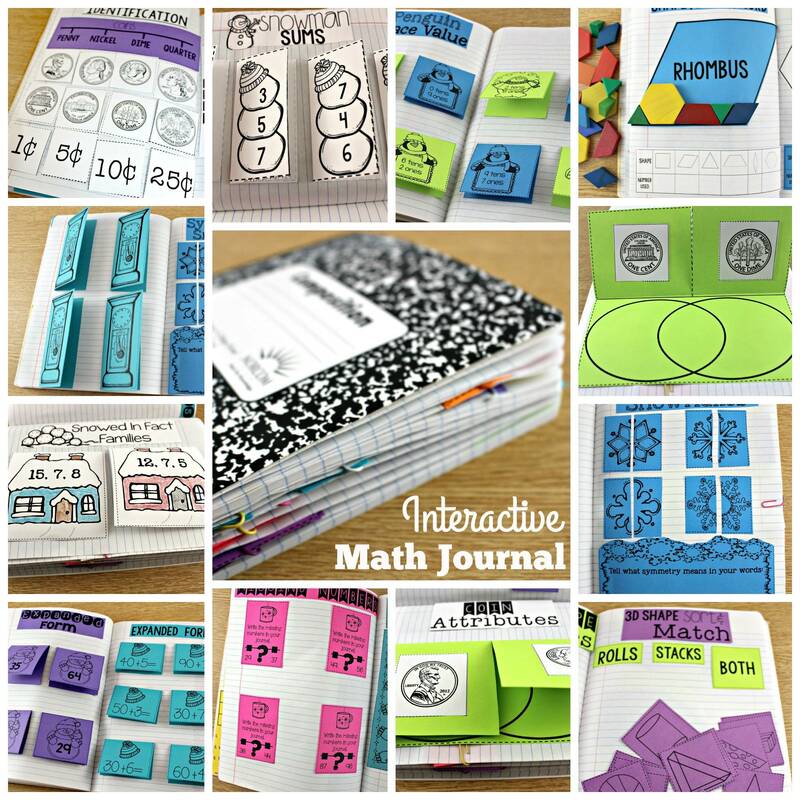 I have always wanted to integrate math journals into my block, but I have never figured out how! 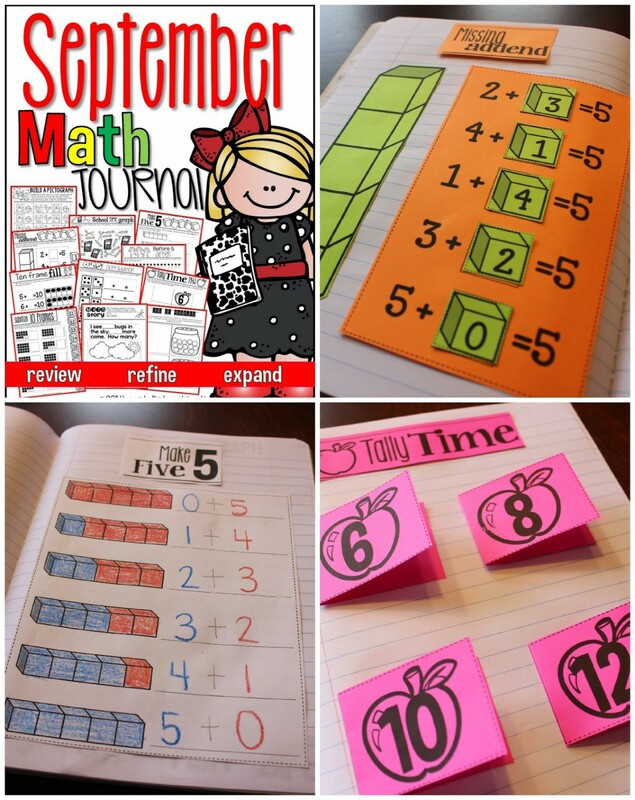 Thank you so much for sharing how you use math journals in your class! I wish I had iPads in my room to use for math time. Our school has some, but I think it would be frowned upon if I took 6 of them and kept them all year. 🙁 I love the idea of students getting on iPads during this time, though! This was a great post- thank you! Great ideas!! 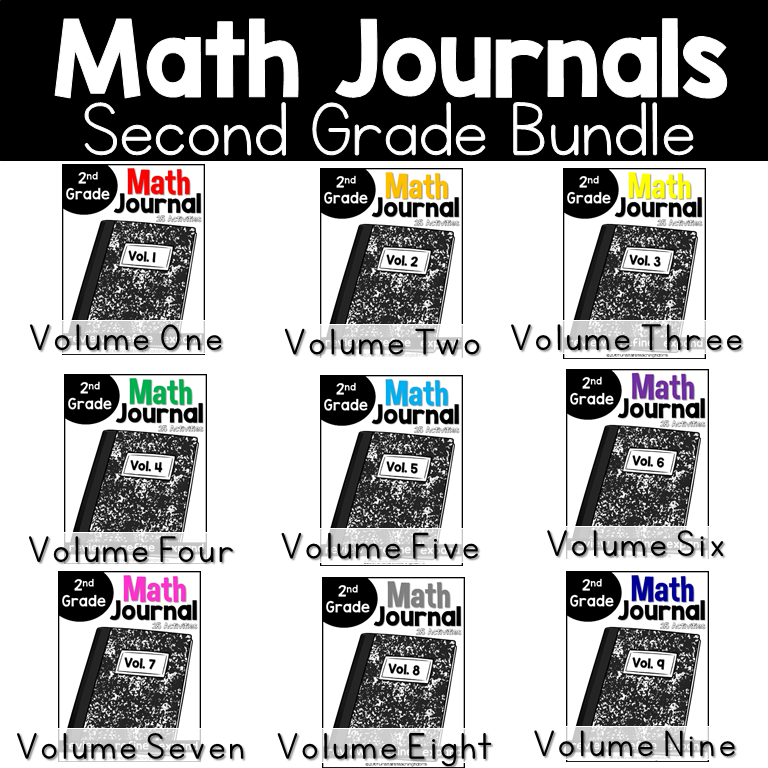 Do you sell any of your math journal activities? I loved this post a lot. It will help me get my Math stations going and I love that it can be differentiated. Being in a new school, we are still waiting for our Ipads and we have no computers so I will have to adjust that one for now. I would also like to know how long your Math block is for. 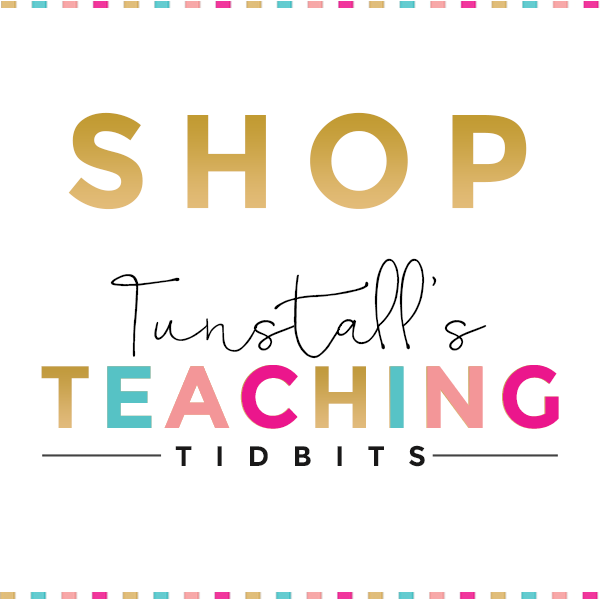 I have many of your products in your TPT store and I am also wondering if your journal prompts that are pictured are available in your store. 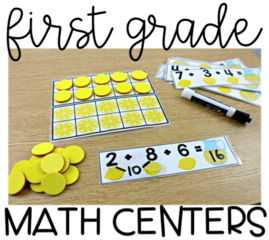 I just purchased the Nutty set and am laminating it as I type. Thanks for sharing all your fabulous ideas! 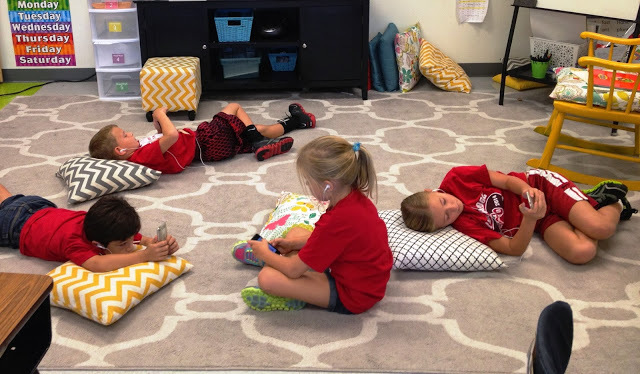 I always love seeing what you are doing in your classroom! It's always perfect! Love this idea. Do you guys have to use a core curriculum? We have a scope and sequence that is based on our standards. Our math adoption was old so we weren't relying on it at all. What an amazing post! Thanks for your amazing ideas! How long are each of your small groups? Does each group meet with you each day? Thanks for the post! Can you explain how you do journals a bit more? I started doing journal time before going to stations but I have many students that take FOREVER in their journals and never get to stations! 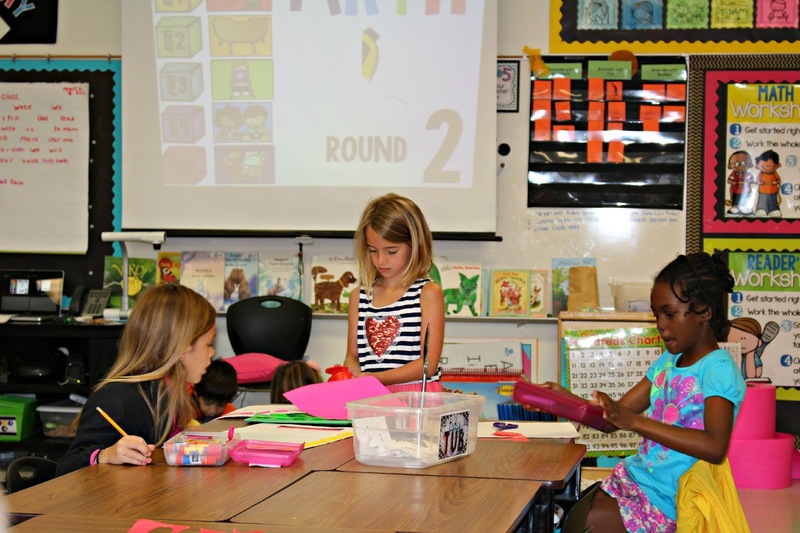 How do you do journal time as a station/incorporate independent practice with centers ? I am so happy I found this! 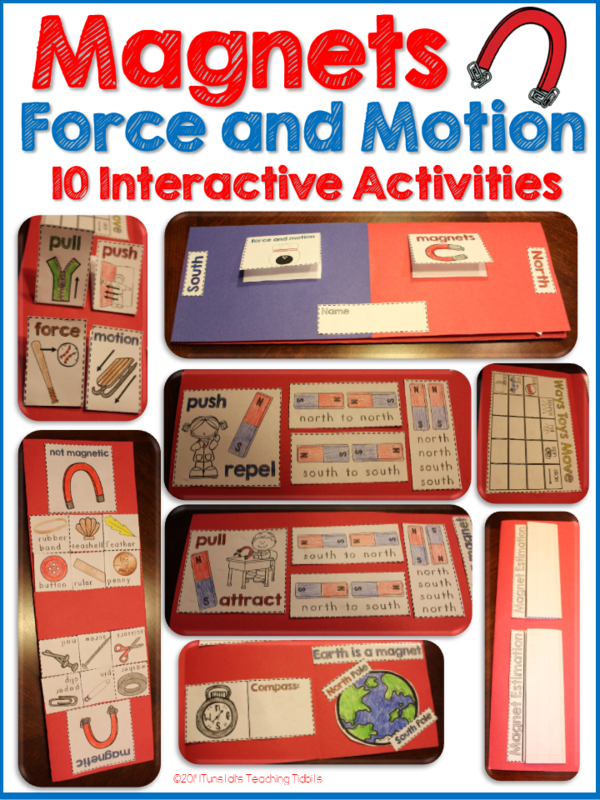 These ideas will really help in my classroom! I was wondering if you had to get special permission to photograph your students? I love the pictures!! I would like to add more pictures with my students but I wasn't sure if I could? Thank you for your awesome ideas! This is just what I needed to pull all the thoughts in my head together!! I Chavez been wanting to do this but was just not sure how!! I sure wish I had that much technology! Does it all belong to your school? Is any of it your own personal technology? I have 2 very old computers and an iPad for my students. I have my teacher desktop which I'm thinking about letting the students use during math. Wow, Reagan! I love this! It is very organized and I love the variety. I bet your kids love it! Thanks for sharing so many details. That was so helpful! 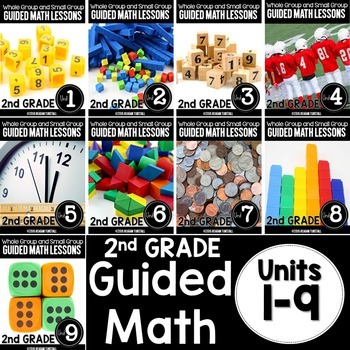 I love how you run guided math. I began to do it at the beginning of the year but it became too overwhelming for me and the students. Quite frankly, I just didn't know how to run it smoothly. I am trying it again and using this post as my springboard!! Thanks for explaining it all so well! 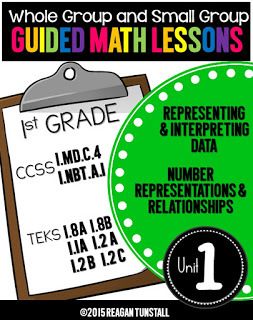 I love how you run guided math. I began to do it at the beginning of the year but it became too overwhelming for me and the students .I so want to do this. Thank you so much for this!!! I only wish I saw this earlier, but now to put it in action! I am not sure how I missed this post originally but I was very happy to find it today. I have pinned it and will be using it as my model. You are awesome! Photoshop Fail Peoples in this Network… Fail Prank Peoples, Fail Videos, Fail Pictures, Troll Images, Prank Peoples, Funny Peoples, funny planet, funny facts, funny cartoons, funny movies pics, iphone funny, funny jokes, Prank Images, Fail Pictures, Epic Pictures, Lols and Gags, Lol Pictures, Funny Pictures, Lol is the Laugh out of Laugh where you can Fun Unlimited and Laughing Unlimited. Want to Earn Money on Facebook…?? Now 1st time ever in Internet World, Facebook Sharing Program has been Launch, Just Post a Picture on Facebook and Get $0.07 per Post, Unlimited Postings and Unlimited Earning. Thank you so much!!! Will do my best to do justice to your ideas. This is exactly What I need to see. I wish a great and wonderful teaching life. If only you had been around 20 years ago! 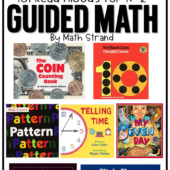 What a thorough explanation of how to incorporate guided math lessons along with math stations daily. You make it look so easy! I loved all of your pictures with the detailed explanations. 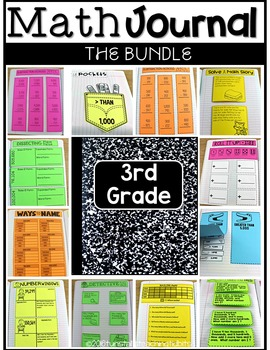 I plan to purchase your monthly math stations with the included ideas for journals along with your math resources with the Essential Questions and Big Ideas. 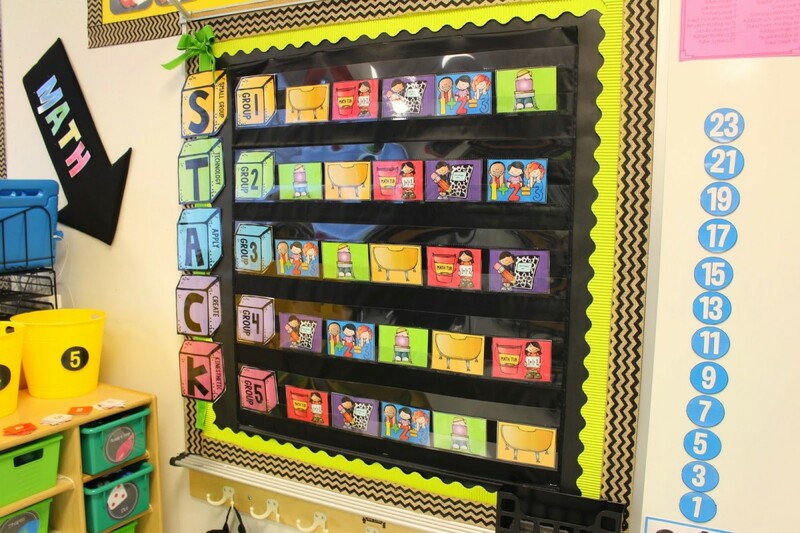 I also love how your room is arranged with all of your math manipulatives labeled and organized in one "math area" in your room. Please continue to create and share with us. Just wanted to thank you so much for sharing this! hello! Will you tell us more about how you do your math journals? 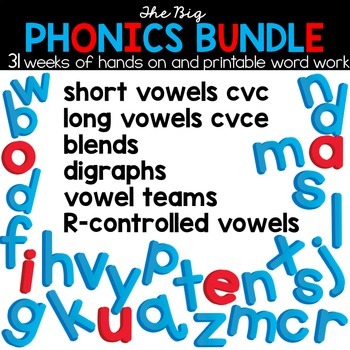 Do you have a TPT bundle that you use? 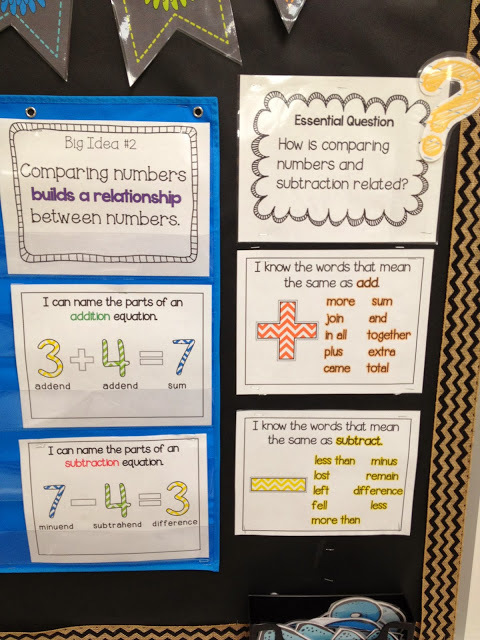 I would love your feedback on how you incorporate this into your math block! Thanks! Yes I do have a year's worth of math journals. The links are in this post. WOW ~ impressive!! 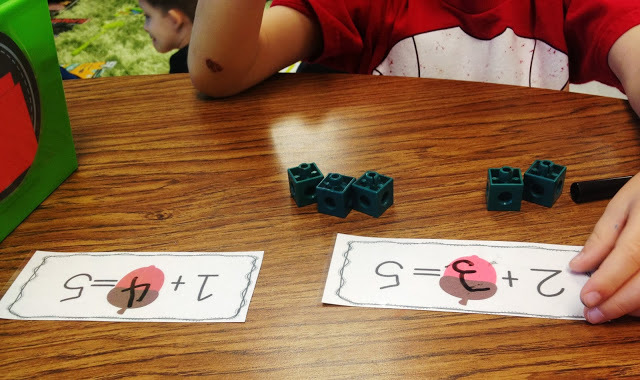 I am changing to first grade and will definitely be using your ideas on the math stations. Thank you so much!! I am going to look through your other stuff!! where did you get the flag pennant banner that says MATH? and your chalkboard alphabet posters? When you do your groups, do all kids do all centers every day? In finding a Maths tutor, some factors can be considered to ensure your child has the best. Read here for more details: Maths Tutor Melbourne. 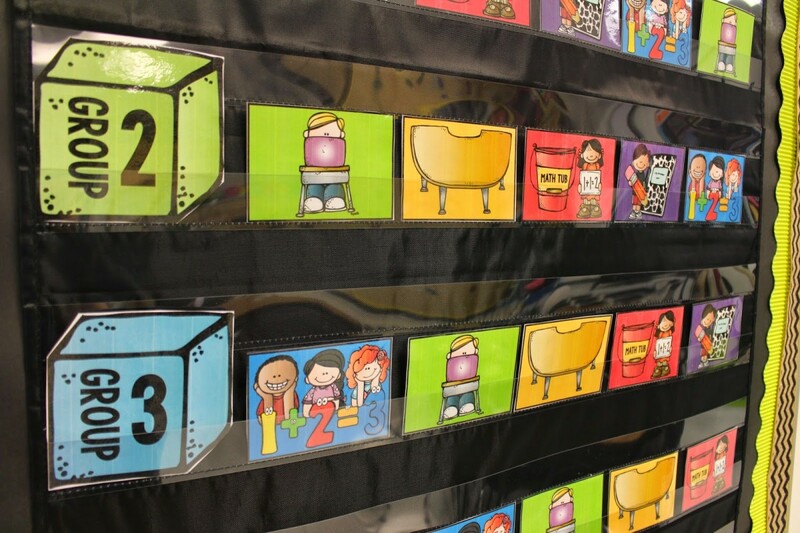 How do your kids work through the math tubs? One a day or when they are done playing the game they go to the next tub? How do you ability group your students at the beginning of the year? Do you administer a certain test? I am in love with all of your math material and you classroom layout! I was wondering where you got the great Ipad cases? I have 6 Ipads in my classroom and I am always using them but I always fear my students are going to drop them! 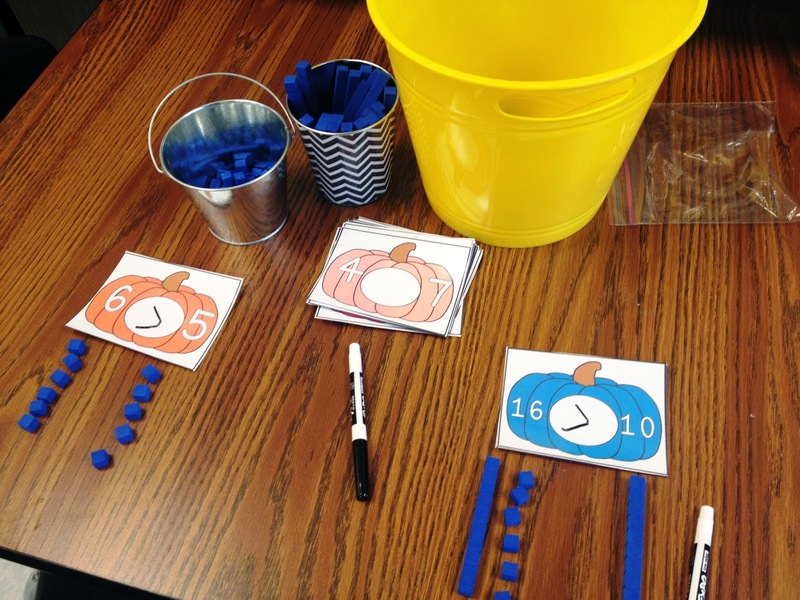 How are the apply centers different from the tub centers? Thank you so much for taking the time to go through all of this. It is seriously amazing! I love your math material it is awesome!! 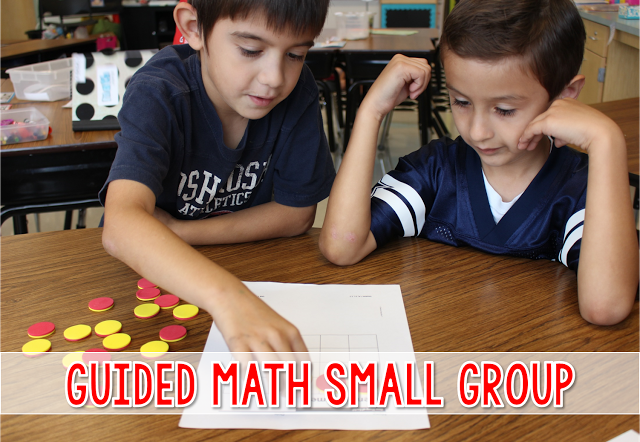 How did you group your students? Do you give a certain test? I also had a question about your math tubs. How do your kids work through them? once or twice a day? I love this! 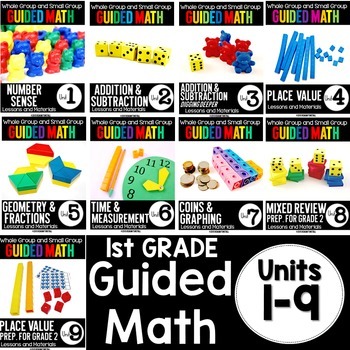 It is very similar to how I do my guided math, so it gives me good ideas on how to tweak it. JEALOUS of all your technology!! I have three computers that work and no IPads/Pods so my class is sorely lacking in opportunities to use technology. 🙁 One of the things they do instead is work on their math fluency. 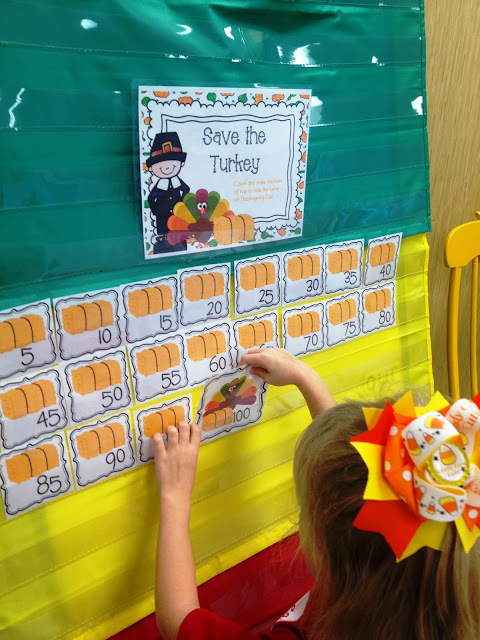 They have sand timers they use to time themselves doing addition and/or subtraction facts. When they are done they graph how many problems they were able to finish and they move up through different levels. They LOVE beating levels- they think it is like a video game! Thanks for taking the time to share this! That noise level is my issue now and I can't get to math groups to save my life. The year is almost over but I plan to go this route next year. Maybe these last couple of weeks as well. Its a start. 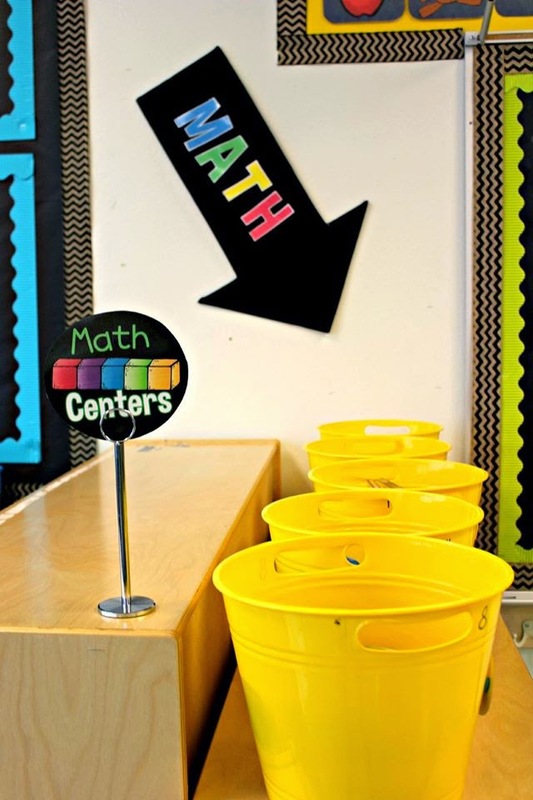 We already have math tubs, and computer. I do journal but I can make that a part of the rotation schedule. Can I just say you amaze me, and I can't wait to try all of this! Thank you for all of the wonderful tips!! I love this! Thank you so much for sharing! I'm definitely going to try this for the upcoming school year! I have one question, what kind of things do you have the students doing for their "Apply" rotation? 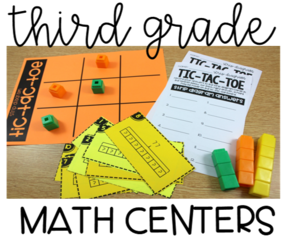 You are using great tip for teaching mathematics, by doing so students will not get bored. Moreover, it helps in making the strong base of Mathematics which is very important. Only a professional maths tutor can do this. I love all your center/tubs. I am looking for these type of centers for grade 4 /5. 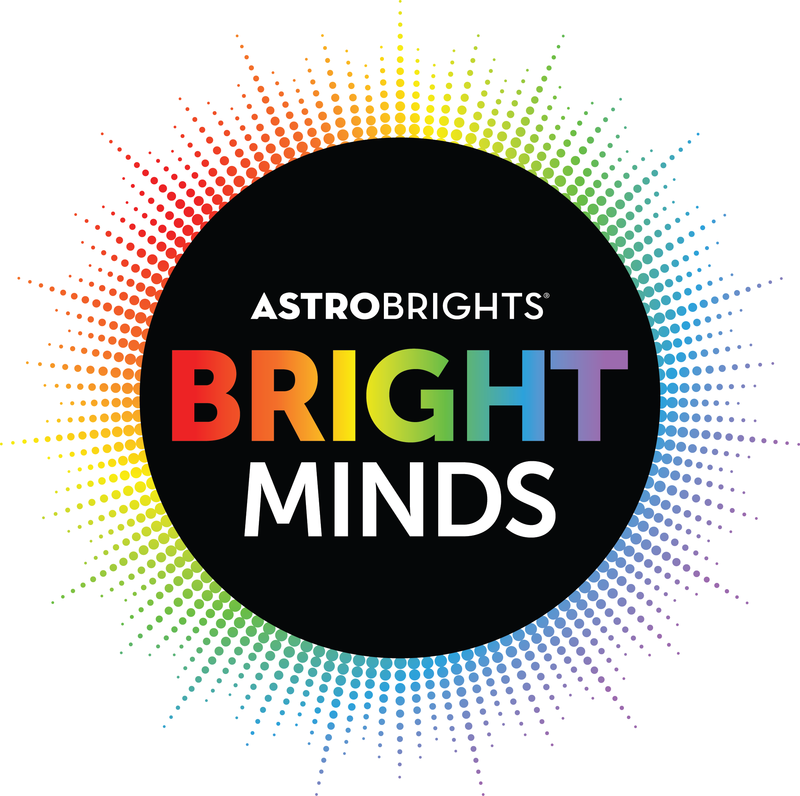 Do you have any for upper grade materials can you recommend someone else? Thank you! Hi! 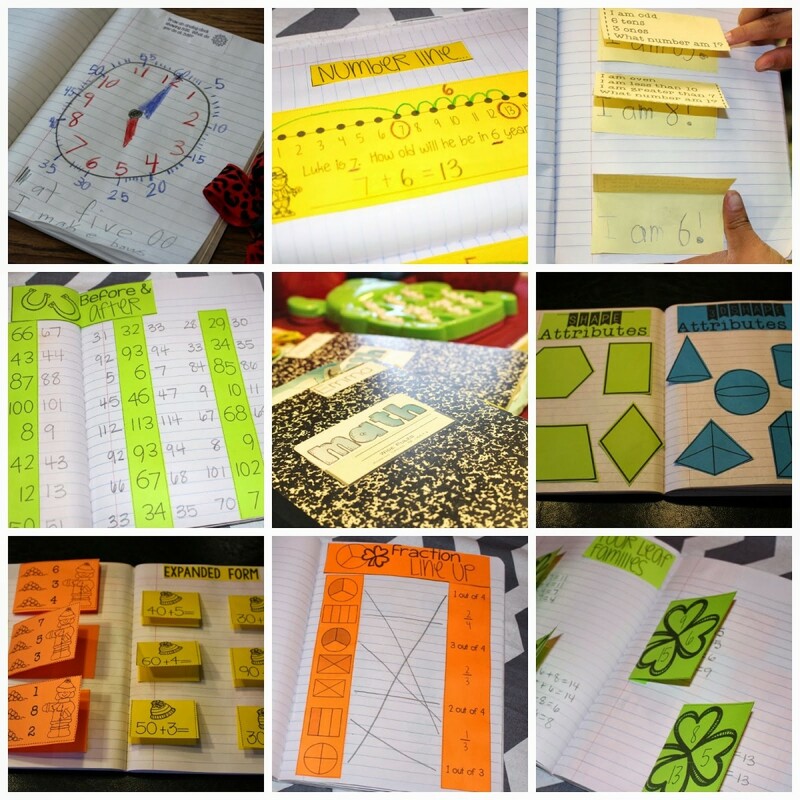 I really love this post and every thing about your math block. 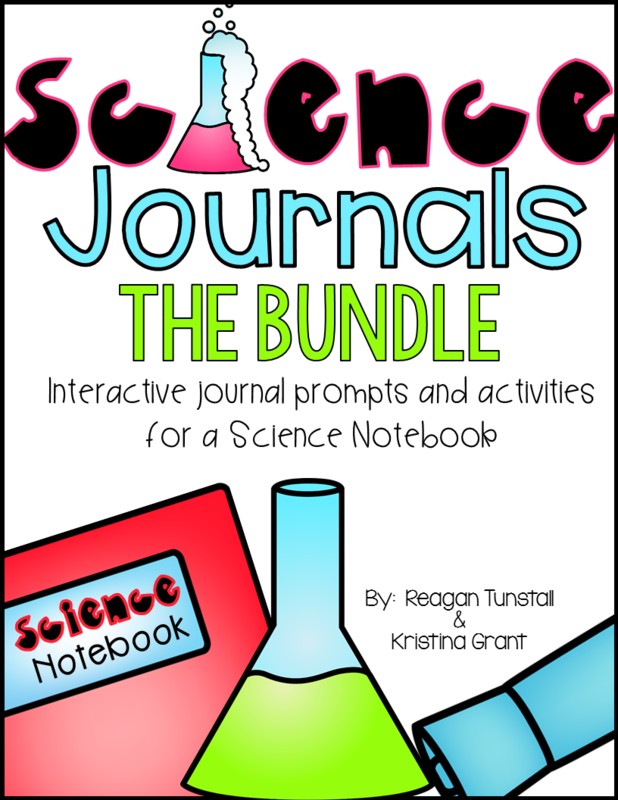 I would love to purchase your journals as well:) I could just be tired from chasing first graders all day LOL but could you explain again how the kids transition from journals to tubs? Is it timed or do they go individually to a tub when they're done with the journal work? Thank you! 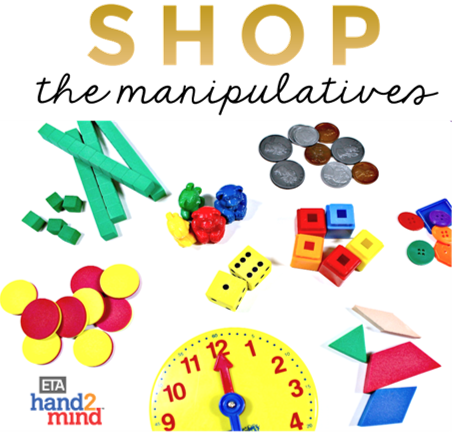 Have you developed a list of manipulatives that you recommend having for Guided Math? If not, do you know where I could find one. 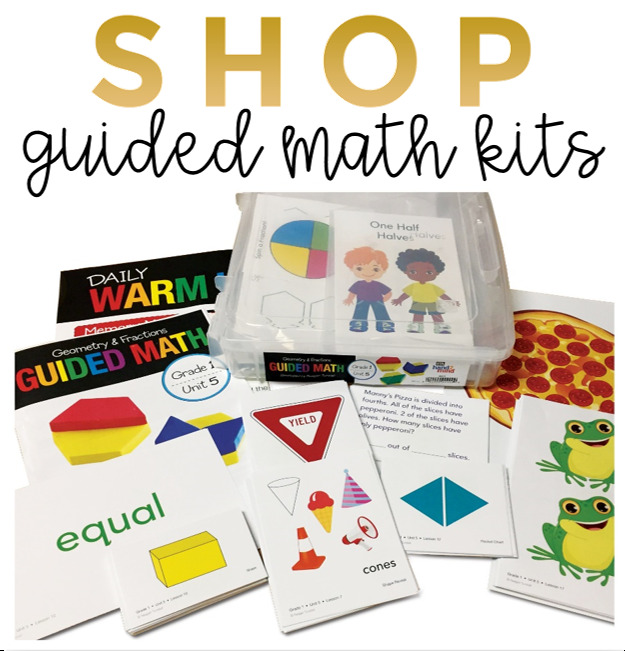 Our school is trying to get a Guided Math program together. 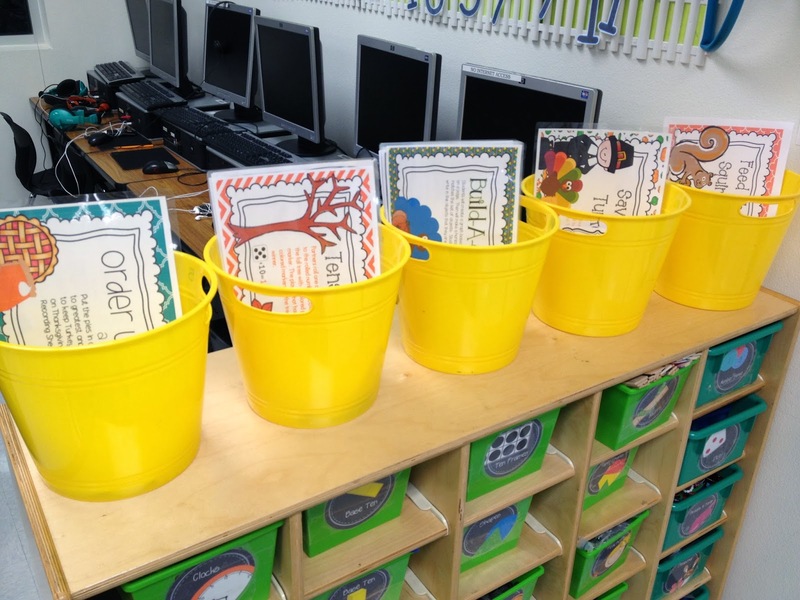 How many copies of each center activity do you put in each of the 5 tubs. I have 19 kids in my class.